Spanish 1, 2, and 3 have been my favorite classes, not only because I learn a lot but also because my teacher is very good when it comes to Spanish. Springs Charter Schools is holding a student art contest open to all Springs students! The winning artwork will be showcased in greeting cards, monthly e-newsletters, website, and Daily Refreshments. All original artwork should be submitted in person to 27740 Jefferson Ave, Temecula, CA 92590; or students may drop off their artwork at their campus before the deadline. Please call the campus beforehand to make an appointment to ensure that staff will be available to receive your entry. All students entering this contest should sign this form and turn it in along with their artwork. No artwork will be accepted without the corresponding signed form. Any media may be used (e.g. paint, graphic design, drawing, etc.). However, it must be flat artwork to be easily scanned. Digital files are fine if that is the original format. If you have any questions or need further clarification, please contact Rhyan O’Kelly at (951) 225-7746 or email receptionist@springscs.org. We look forward to seeing all of the creative entries and are excited to showcase Springs student talent! 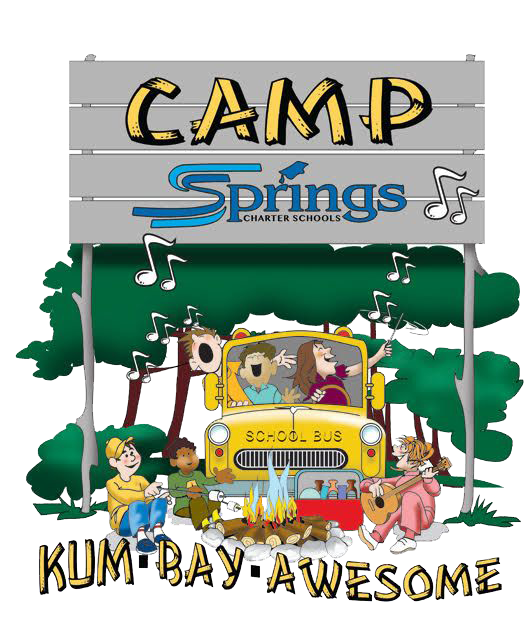 The theme of the artwork must correspond with our 2018/19 school year theme of “Camp Springs”. The deadline to submit your artwork is 4:00 pm on May 9, 2018. Please allow for time if sent from site via courier. All artwork should be submitted with the student’s name, age, and program/location in which they are enrolled in some manner as to not affect the original artwork. Original artwork should be no larger than 8.5″ x 11″.